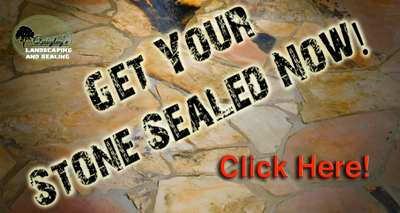 From stone like pavers to natural stone products the appeal is timeless. Landscaping encompasses the small and the large. From a pebble to a boulder, and from a single flower to a line of trees, landscaping can be a project for homeowners whose lawns range in size from a tiny plot of land, to sprawling acreage. Paving stones, or pavers, are a good way to start small. Pavers are a simple way to Landscaping Ideas the look, and usage, of your property by adding a patio area for gatherings, or just revamping a basic walkway. Make sure you invest in good pavers. They cost between $3 and $5 per square foot with no labor, preparation, or delivery. Unlike inexpensive pavers, the better ones will come with a warranty that protects their color and their resistance to de-icing products. Pavers are set in grout, which should be polymeric sand. Polymeric sand hardens well but remains somewhat flexible, allowing for enough flexibility between the joints. Polymeric sand also forms a barrier for any weeds and grass that can grow in the cracks. 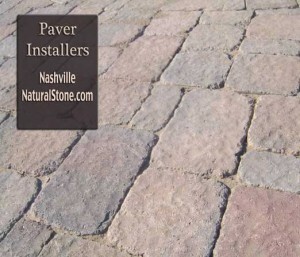 Pavers are small, but they can create grand spaces too, one square foot at a time. If you’re thinking grandly, you might want to go big, and consider a gazebo or other type of outdoor pavilion. Many gazebo’s have the posts wrapped in natural stone for a more permanent effect. A gazebo can be small or very large, to serve as a private outdoor nook or a grand area for entertaining. It’s an expensive project, so do your homework with a landscaping contractor. Make sure you don’t plan a structure that’s too big for your available space – you don’t want to feel crowded in the very area where spaciousness is the ideal. Cheaper than a gazebo is a pergola, though, which provides the same kind of aesthetic outdoor space but has a more open design, lacking a permanent roof. Canopies are sold for pergolas, in a range of colors, and they are waterproof, so tricking out the area for an event is simple. Pergolas and gazebos both are lovely spaces around which to plant flowers, vines, shrubs, stone, and trees. Consider evergreens, which beautify your property year-round, as well as flowering plants which will add a splash of color in the warmer months. If nibbling deer are a problem for your plantings, invest in Boxwood shrubs, which deer typically will avoid. Stone walls can be a deterrent to deer. Long, ornamental grasses are also low on a deer’s preferred menu. 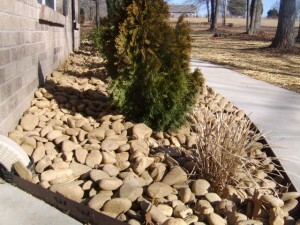 Large rocks or boulders are obviously inedible, and they can add structure and style to an area you’re landscaping. Quigley’s Landscaping and Hardscapes can build your fire pit, fireplace, or fountain 615-715-8216. If you’d like to add a water feature, rather than a labor-intensive fish pond, consider a fountain. Fieldstone is typically used for stacking behind waterfalls and flagstone is typically used around the edges where you stand to view the beautiful Koi. The recirculating water keeps mosquitoes from breeding, and a shot of chlorine into the works will eliminate algae. Fountains can often contain colorful rocks which will catch and reflect the sunlight, and the tranquil sound adds a lovely element to outdoor relaxation. Fire pits and fireplaces made of stone idea. Finally, a fire pit or an outdoor fireplace can be the ideal gem for a landscape. Fire pits and outdoor fireplaces have become a very popular landscaping feature in the past five years, allowing dinner parties to linger outdoors into the darker evening hours. Fire pits should be installed on their own patio, at least 30 feet from the home. Distance from the house is not as crucial for an outdoor fireplace because an outdoor fireplace will vent the smoke with its own chimney. New designs for outdoor fireplaces include direct feed natural gas lines, which is handy for homeowners who prefer not to stock up on wood and kindling. As long as there is natural gas, why not go whole-hog and think about an outdoor kitchen? If you have the space for it, and you truly love to entertain outdoors, it may be a worthwhile investment. The cost of the appliances is what tends to drive up the cost of the entire project, so planning your budget is crucial. Don’t shirk from granite – it’s durability in weather of all kinds and easy clean-up makes it the ideal counter-top for an outdoor kitchen. Make sure it’s close enough to your actual kitchen that it’s convenient to use. The further away from your indoor kitchen, the less likely you will use it. Natural gas or propane, electricity and plumbing are essential to making your outdoor kitchen fully functional. 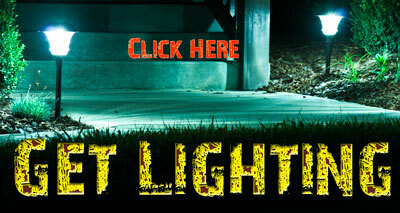 These features should be installed by licensed professionals and require special permitting in most areas. Unlike a simple patio, an outdoor kitchen isn’t something that’s temporary or that you’d re-do in a few years. Plan carefully and enjoy it for a lifetime. 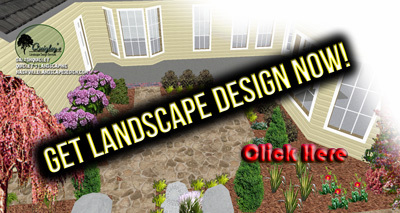 Everyone needs some new landscaping ideas and inspiration now and then. 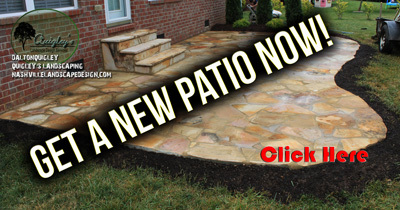 For professional help, check out Carroll-landscaping Landscaping MD. Back to Nashville Stone Home Page. 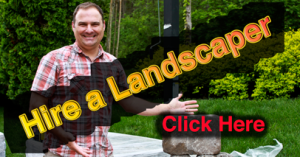 Build a dry stack wall, dry stack garden border, or mortar on a dry stack veneer. Visit our locations to buy your dry stack field stone by the palette. Granite, Veneers, Block and Brick.